It's been more than 4 years since Java 8 was launched on the March 2014 and many of you already thinking that Java 8 now legacy version but there are still so many Java developers out there who don't know how to code using new language features of Java 8 like lambdas, stream, and method reference. It's high time for all those programmers to learn and master Java 8 before their skill become outdated. After that, we already have a couple more Java releases i.e. Java 9, Java 10, and Java 11 in the space of just 6 months apart but Java 8 is still the most used version, particularly when it comes to coding style. In the past I have shared a lot of books and tutorials to learn about several key Java 8 features like lambda expressions, Stream API, method references, default methods, new Date and Time API, Optional and other smaller API enhancements but my readers kept asking me about some online courses they can take to learn Java 8 quickly. I can understand that because online courses have become the most popular way to learn a new technology in a quick time. They have almost replaced books as the go-to source to learn a new technology, which I still think the best resource to master a topic because they provide the most comprehensive and authoritative knowledge. But, what works best for an online course is the interactivity which is not possible with books. That's the single most reason why many people are using online courses to learn almost anything on the web with a very cheap price. I have collected the courses which will especially teach you Java 8 features, except The Complete Java MasterClass which is a comprehensive Java course and covers the language from A to Z. If you are starting to learn Java from Java 8 or newer versions, I suggest you check this course. It's comprehensive and also most up-to-date, recently updated for Java 11, the latest Java version. In this article, I am going to share some of the best Java 8 courses from Udemy and Pluralsight to learn Java 8 in no time. I have a Pluarlsight annual membership but I also shop on Udemy, mostly on their flash sale where they sale course in just $9.9 or $10.99 which is like getting a course for FREE. If you quickly want to familiar with all the new features introduced in Java SE 8 release then this is the right course for you. This course is a direct classroom recording of Java 8 classes so you will feel like attending the class personally. The course covers all essential Java 8 features like Lambda Expressions, Method reference, Functional Interfaces, Default and Static methods, Common Functional interfaces from java.util.function package like Predicate, Function, Supplier, Consumer etc. It also covers Stream and new Date and Time API in good detail which is very important to code in Java 8 style. One of the most important features of Java 8 was the introduction of lambda expression and Stream API, which now allows you to perform bulk data operations in Java easily. 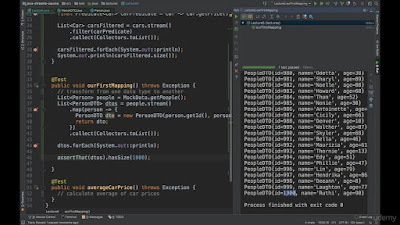 One of the main challenges developer face while writing code in Java 8 style was using lambda expression and Stream API and that's where this course helps. It is a completely focused course which will teach you everything about Stream API. The course covers iterating over Stream, Max, Min, and Comparators, Collectors, Filtering and Transformation using a filter, map, and flatmap methods. It also covers findAny() and findFirst() methods, pulling out statistics from your data, Grouping of data in SQL like Group By example, map reduce and joining strings. 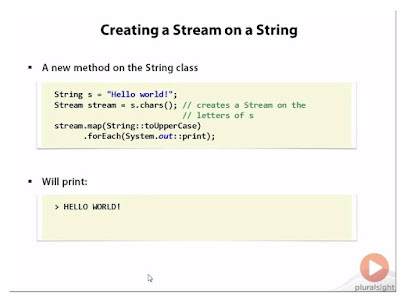 Overall a great course to learn Java 8 Stream API in depth. If you have a Pluralsight membership and you are looking for a good course to start with Java 8 then "What's New in Java 8" is a good course to start with. It provides a nice overview of all important Java 8 features like lambdas, stream, method and constructor reference, new Date and Time API, default and static methods of interfaces etc. Btw, if you don't have a Pluralsight membership then also you get this course for FREE by signing of Pluralsight free trial, which gives access to Pluarlsigh courses for 10 days for free. This is another Java 8 course by Jose Paumard, the author of the previous Java 8 course. 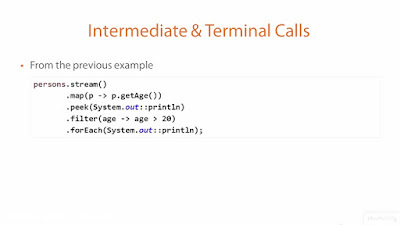 This course shows the new patterns introduced in Java 8 based upon lambda expression, the functional interfaces, the new and modified Collection Framework, and the newly introduced Stream API. Java 8 has changed how you write code in Java and that's why many standard Java idioms have now become out-dated. 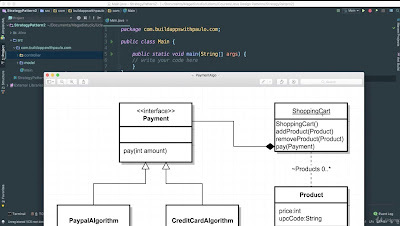 This course will teach you new patterns to build efficient and clean Java applications. This is not just the Java 8 new feature course but the most comprehensive course to learn Java. If you are a beginner and starting with Java 8 then I recommend this course to start with. It is also constantly updating. The course now covers Java 8 and Java 9 but I expect it to soon also covers Java 10 features as well. It is detailed, comprehensive and covers most of the topics a Java developer should be familiar with e.g. core Java, Collections, Concurrency, File IO, JVM internals and many more. In short, a complete course to learn Java from scratch. That's all about some of the best courses to learn Java 8 online. These courses will quickly teach you essential features of JDK 8 like lambda expression, default methods, method reference, functional interface, and new Date and Time API. Though, you should focus more on lambdas and Stream to make most of Java 8. Those are also the key skills which are tested on Java interviews. Thanks for reading this article so far. If you like these Java 8 courses then please share with your friends and colleagues. If you have any questions or feedback then please drop a note. How Spring MVC works internally? How to design a vending machine in Java? How HashMap works in Java? 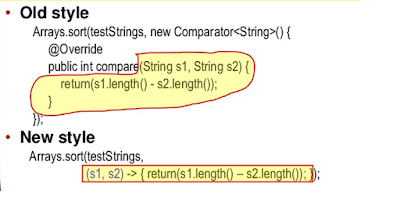 Why String is Immutable in Java? How to convert lambda expression to method reference in Java 8? How Synchronization works in Java? Copyright by Javin Paul 2010-2018. Powered by Blogger.